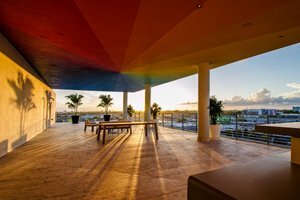 One-of-a-kind Penthouse Located in Miami's World-famous Wynwood Art District. Conceptualized as a Modern Life Concept House for ELLE DECOR Magazine, Atico features the finest brand-name furnishings and finishes, and original artwork by the region’s top artists. 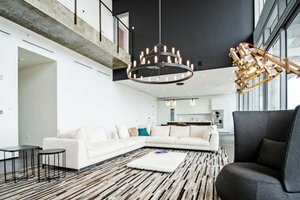 It features 3,000 square feet of air-conditioned interior space, including a double-height living room, plus 2,500 square feet of outdoor terraces. 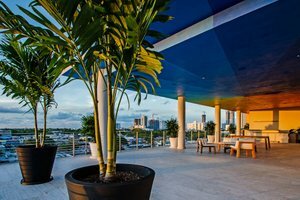 Its enormous roof terrace, covered in a colourful, protective canopy and outfitted with a large, professional bar and outdoor shower, is Miami’s most exclusive event space.